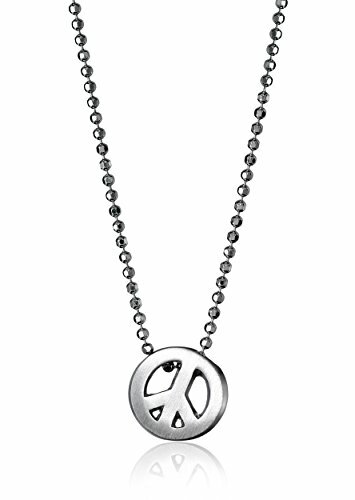 This cultural icon whether you wish for world peace, inner peace or just your love for the carefree days of the 60s, this pendant will serve as a stylish reminder of your own personal desires. Designed to be worn at a slight tilt, it is a reminder of a "rolling" movement toward love and earth centered unity. Alex Woo's Icons are classic gifts for your bridal party. This piece is perfect for the Winter wedding. When it comes to bridal gift-giving, a personal touch can create a lasting impression. If you have any questions about this product by Alex Woo, contact us by completing and submitting the form below. If you are looking for a specif part number, please include it with your message.